The Dutch town of Aalsmeer is mere minutes from Schiphol Airport. Here, the finishing touches are being added to IPHandlers' extension. This air freight handler is constructing a brand-new warehouse, right across the street from their head office. This new 6,000m2 building will mainly be used for handling fruit and vegetables. It is located on Noordpolderweg. This expansion brings IPH's total area up from 10,000m2 to 16,000m2. There will also be a total of 23 docks. This will ensure that the waiting time for trucks is kept to the bare minimum. Since the company has grown enormously, the expansion was a must. IPHandlers specializes in the trade of perishable air freight. This trade is mostly in flowers. However, an increasing number of importers are making use of IPHandlers' service and facilities. These fruit, vegetable, and herb importers are from all over Europe. These fresh products are already stored separately from the flowers. Now, they will have their own warehouse. This location will open at the end of March. It will be operate under the name, the Amsterdam Perishable Center (APC). The APC's 6,000m2 is entirely air-conditioned. It will be subdivided into different cells with varying storage temperatures. In this way, the company can offer the best solution for all goods in the fresh fruit and vegetable sector. A special inspection space has also been rigged up for all the various inspection authorities. The new warehouse complies with HACCP regulations. The entire chain, from producer to consumer, is also controlled. 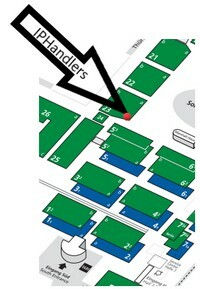 IPHandlers will again be present at Fruit Logistica in Berlin. They will be in Hall 23, Stand F-02. Here, with the help of VR glasses, visitors will be able to take a virtual tour through IPH's branches.